HCMS LIBRARY: BOOK REPURPOSING CONTEST!! 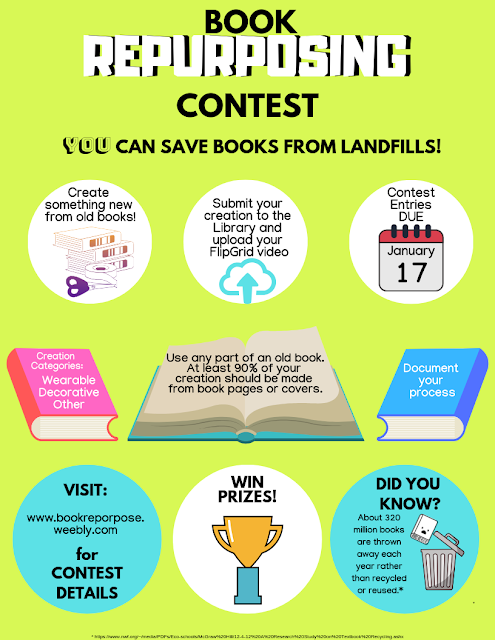 PARTICIPATE IN OUR BOOK REPURPOSING CONTEST! The HCMS Library has discarded books you can use - just ask!